If taking care of your skin is important, then taking care of your hairs is equally important...We all love and want healthy and shiny hairs but often ignore them in our day to day life..
Like our skin. our hairs is also always exposed to sunlight, dust, sweat and pollution..So like we take care of our skin we need to take proper care to have healthy hairs. Today i would be sharing few of the basic Hair Care Tips to attain and maintain healthy hairs. Cleansing: Like skin, the first and foremost step is always a proper cleansing routine. Always keep your hairs clean. Try to wash them 2-3 times a week depending on how oily your scalp is. Rest of the products or hair packs or any other kind of conditioning will only work effectively, if the hairs are clean. 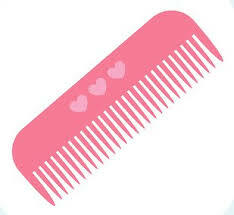 If your hairs are already greasy and dirty, you cannot expect other hair care products to work effectively. 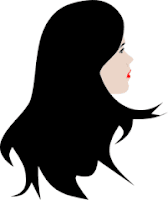 Choose the right kind of Hair Products For You:Always choose Shampoo and conditioners according to your hair type..Choosing the right products is also dependent whether you have an oily scalp or not. 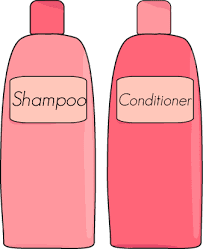 Always take a look at the back of the bottle for the ingredients..Now a days on most of the Shampoos and Conditioners, it is mentioned that to which hair type or hair problem it will be suitable..Do not buy any product blindly because of its huge advertisement.Just see once whether it can work for you or not. Trim Your Hairs at Regular Intervals: Always be regular with your hair trimming. It helps to get rid of those split ends and dry brown lifeless hairs. This step is specially important if you are a girl who is aiming to get a long hairs. Trimming hairs regularly actually increases the speed of hair growth. 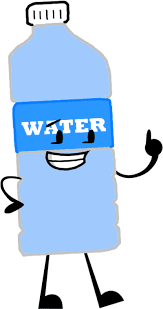 Avoid Using Hot water to wash your hairs. Heat is never good for hairs..Washing your hairs with hot water can lead to excessive dryness of the hairs.In extreme winters if you really had to, then wash with lukewarm water..
Use Heat Protecting Spray\Serum While Using Heating Tools: We all like to experiment with different hair styles while going out for parties and all and for this we often use heat tools to curl or straighten our hairs..Always use a good heat protectant serum or spray before using heat tools.Try to avoid using these heat tools on a daily basis. Take Special Care of Re- bonded & Colored Hairs: Special hair care products are there in the market these days to take care of these types of hairs..Since all these things can lead to weak roots and excessive dryness of the hairs over a period of time.You really need to take extra care of your these type of hairs. In monsoons: We all love rains and once in a while can love to get wet in it, but always remember monsoon is the season where there are maximum chances of fungal and bacterial infections.Be it skin or hairs. 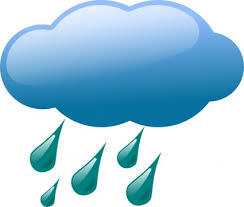 In case yours hairs got wet in the rain,wash your hairs as soon as possible to avoid any kind of infections. Include food in your diet which is rich in Protein. 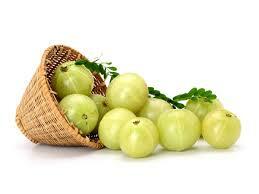 Indian Gooseberry Or Amla: Is very beneficial for hairs. You can eat Amla as it is or in the form of Amla Juice.Amla can really work wonders for your hairs. Keep you Combs and Hair Brushes Clean: Make it a point to clean your hair brushes and combs regularly to avoid bacterial infections.Try to avoid using anyone else's comb. 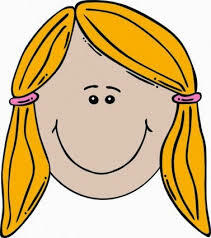 So friends those were the very basic hair care tips to keep hairs clean and strong. Some of the Oils which are really beneficial for hairs are- Cobnut Oil, Olive Oil,Castor Oil..There are other options also available...Choose your favorite one and start a hair oiling routine..Within few weeks you will see a significant difference. I am sure if each one of you try to follow these basic tips, then surely you can improve the health of your hairs. Also, do share hair care tips which you follow! Do follow my blog for more! Thanks for sharing these useful tips for healthy hairs!! Regular oiling or coconut oil for hair loss is the best thing one can go for healthy hairs.